Lena Phillips escapes a crowd of defenders. The senior's lone shot attempt didn't find the back of the net in the Cats' 3-2 home defeat. One shot went off the post. A penalty shot was saved. Shots went off feet, sticks and masks. Not enough Northwestern shots went in, however. Despite a furious second-half push, the No. 16 Wildcats (12-7, 4-4 Big Ten) failed to completely erode a two goal deficit, allowing Penn State (8-9, 4-4) to win 3-2 on Senior Day Friday at Lakeside Field. After falling behind 3-1 early in the second half, the Cats turned up the pressure. Freshman forward Eva van Agt failed to nudge the ball past Penn State goalkeeper Jenny Rizzo from close range, and a minute later both junior midfielder Isabel Flens and senior midfielder Lena Phillips saw shots knocked away by Rizzo. In the final 10 minutes, NU saw two golden opportunities fall by the wayside. Junior midfielder Dominique Masters had a sliver of open net to aim for, but her shot ricocheted off the post and out of danger. Just a moment later, senior back Lisa McCarthy stepped up to take a penalty shot, but Rizzo guessed correctly and brushed the shot aside. Masters scored a consolation goal from a penalty corner with no time remaining. The Cats found themselves chasing the game after going down 2-0 midway through the first half. Penn State forward Brooke Birosik pounced on a rebound in front of the net in the seventh minute to open the scoring, and she doubled her tally fewer than 11 minutes later with a close range finish after a cross from midfielder Aurelia Meijer. Trailing on its home field, NU found a spark through Masters. With seven minutes remaining in the half, a loose ball fell to her, and she found the back of the net. The Cats drew no closer, however, despite 14 second half shots. Penn State had just one shot in the second half, but Birosik made it count, completing her hat trick in the 46th minute. In stark contrast to recent NU opponents, the Nittany Lions created more than enough opportunities to score three goals. The visitors had seven shots on goal in the first half, and finished with six penalty corners. The next week is critical for the Cats, as their next loss will most likely end their season. NU, the No. 4 seed in the Big Ten Tournament, will meet fifth-seeded Ohio State at 9 a.m. on Thursday in Bloomington, Indiana. 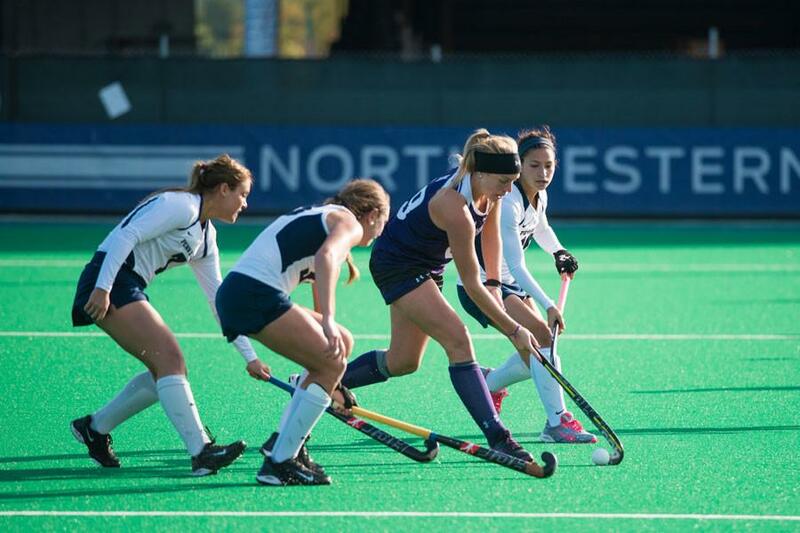 The Cats defeated the Buckeyes 2-0 on Oct. 23. For Fuchs, however, there is no panic as NU enters the postseason. This post was updated at 9:49 p.m. on Nov. 1 to include the Cats’ opponent in the first round of the Big Ten Tournament.